The only part of South America still governed by an overseas country, the tropical, rainforest-covered French Guiana is the second largest region of France. The department was used by France as a penal colony in the late 19th and early 20th centuries, with several islands that you can visit today used as prisons where inmates were forced to catch butterflies. On a trip to French Guiana, you can witness different ecosystems, diverse plant and animal life, as well a mix of cultures influenced by French colonization and a large immigrant population. French Guiana is in South America. 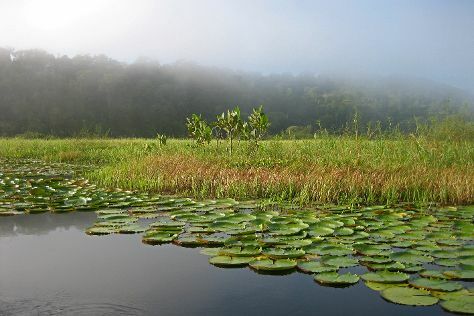 Plan your vacation with our French Guiana trip planner and discover the best things to do in French Guiana.